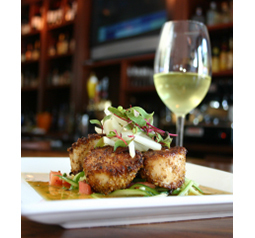 The Wine Bar, Atlantic Highlands : Happy Hour Every Thursday and Friday! The Wine Bar - Happy Hour Every Thursday and Friday! It's 5 o'clock Happy Hour in The Wine Bar Lounge every Thursday and Friday. Indulge in $6 martinis, $6 select wines by the glass, and enjoy a $6 small plate tasting menu from 5-7pm. Here's just a glimpse of what we have to offer, but if you want the full scope, check out our wine list here.